The Intuition Effect #ShickAmbassador Reader Reviews! Being a parent means we are constantly busy doing something; I literally never say or think "I'm bored!" and I always have something lined up if my kids decide to nag me. There is always something to do, somewhere to be, someone to deal with. There are so many things on my list daily; Raising three kids that are passed the baby stage, taking care of pets, running a household, cleaning, laundry, cooking, and my blogging plus other writing when I can slip in the time. Life doesn't seem to have a pause button. It's busy and it is so easy to become too busy with only so many hours in a day, this can result in forgetting to slow it down and think of number one. It is okay to take a moment for ourselves; we need to remind ourselves we (moms/dads) are as important as the kids. If we aren't happy, how can we make them happy? I have to remind myself that sometimes, the laundry piles can wait. They won't go anywhere. How do I find the time to take care of me? I try to carve it out when I can; simple. Yes, having an adults only day or evening is wonderful but my moments are surely happy ones when I can finally take even an hour or so to do something small for me; drink an entire coffee while it's still hot, paint my nails, have that hidden snack or my favourite, take a hot shower after a long day, on my own, all alone without any little ones trying to sneak into the bathroom and "see what I'm doing". Taking a shower alone may not feel like a big thing to some people but in my life, it's the simple things that give me the Intuition Effect; simplify my life and make me happier. Moments I can to take care of myself and feel "human" again. 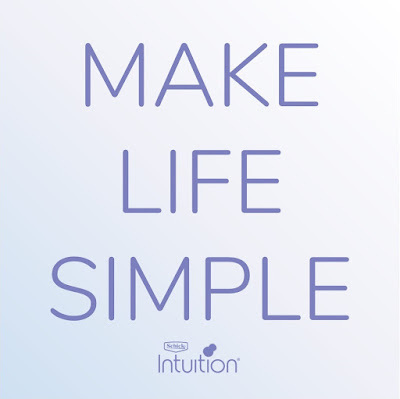 It's the small things like having the time to thoroughly wash my hair with my favorite shampoo that I keep hidden from the kids or shave my legs with my Schick Intuition razor. It's the simple things that give me the Intuition Effect. Speaking of Schick Intuition have you tried the new Schick Intuition? It's literally one of my favorite on-the-go razors. It has a four-blade pivoting head surrounded by a moisturizing shave bar; no shaving cream required. The sleek handle gives it grip; no nicks or cuts. Being a #SchickAmbassador has its perks; I really like this razor for a simple choice for the simple moments. 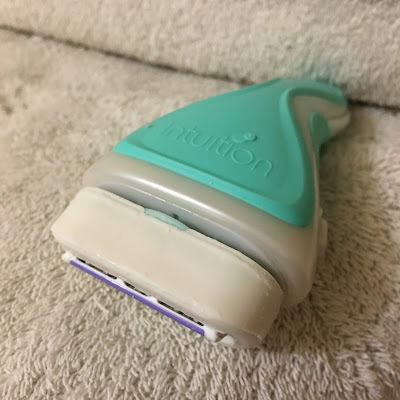 AME is looking for 50 readers to participate in a review of Schick Intuition razor. Chosen participants will be sent a release form which must be completed to receive the razor. Once participants receive a razor, they will come back here and leave a comment reviewing the razor and telling us your "Intuition Effect". Comments must include disclosure: "#gotitfree in exchange for my honest feedback on the product. This is a contest entry"
On July 12th, 2017 one lucky review comment will win a $100 Prepaid GC from Schick Intuition! I received compensation from Schick® Intuition® to share my honest opinion and thoughts in this blog post. This program is only open to the age of majority residents of Canada, (excluding Quebec). All winners will receive a Schick® Intuition® razor as featured in this post. See full Rules here. #gotitfree in exchange for my honest feedback on the product. This is a contest entry. I was so excited when I received my razor in the mail. With a very busy 8 month old in my life shower time is always a mad rush and 9/10 my legs get neglected as I just don't have time to lather up and shave. So having the soap on the razor definitely intrigued me. To start off the smell was amazing! I used the razor right away and tended to my neglected hairy legs! It was awesome. It was so easy to use, the handle was a great fit in the hand and my legs felt really smooth afterwards! The only downside I found was it was really hard to clean out the razor afterwards. Definitely gonna continue to use this razor, my husband will be happy his razors will be left untouched. Thank you again!! My Intuition Effect isn't a common one. I "Gotitfree" in exchange for my honest feedback on the product, which is also a contest entry. I received my razor at the perfect time! I've got an infection on my foot and not able to balance well so using this razor was easy to use and made my shower process faster due to fewer steps! In one stroke I could lather and shave ... all without having to balance for too long. I'll be searching for them at the store. I just got the razor in the mail today in exchange for honest feed back about the product. It's amazing! I really enjoy it! No cuts or nicks like I usually get from cheap razors! Smooth shave and great product. Worth giving a try. #gotitfree in exchange for my honest feedback on the product. This is a contest entry. I just received this in the mail yesterday and have literally been waiting to use it! I've used the cheap Gillette women razor for years but I had no idea that Schick Intuiton is this simple and so much better to use! I used it in the shower for my legs, smooth perfect shave, no razor burn! Thanks Schick for giving me this chance to try it out! Love it! 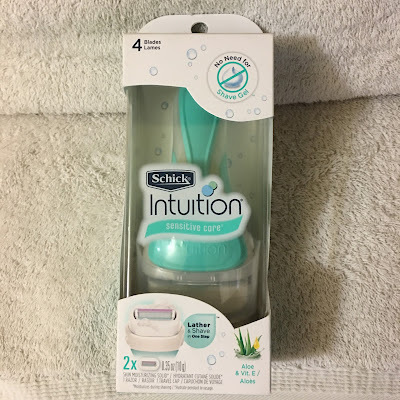 I got the Schick Intuition sensitive care razor for free. 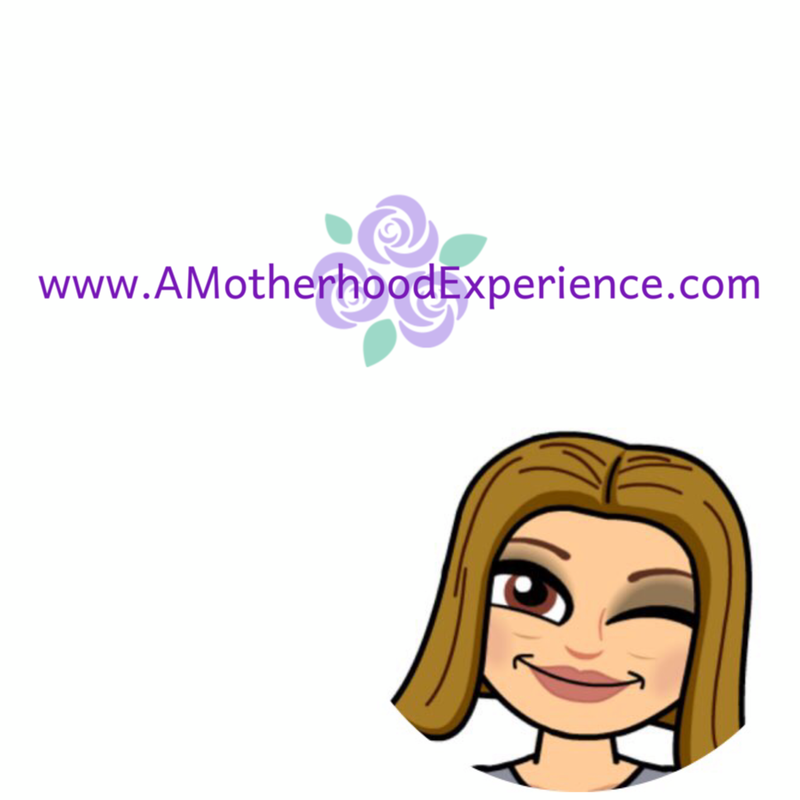 "#Gotitfree in exchange for my honest feedback on the product, which is also a contest entry" on A Motherhood Experience. What can I say about this product? Shick promises good quality razors and this razor wasn't any different. I love the subtle scent! It was gentle to use. I love the fact, I didn't have to use a shaving gel on the side. This razor lathers and moisturizes at the same time. I noticed it left my hands and legs really soft afterwards. I didn't even need to lotion them. I would recommend this razor to my family and friends. #Gotitfree in exchange for my honest feedback on the product. This is a contest entry. I liked using this razor. The handle was great to grip, both in and out of the shower. It was a smooth glide from the beginning to the end of each stroke. My legs felt smooth and not dry after being out of the shower. My only complaint was that the moisture bar fades away quickly, so I would only be able to get a few uses from each razor. Overall, this was a great product to use and I would recommend it to friends and family. #gotitfree in exchange for my honest feedback on the product. This is a contest entry. I was excited to try this razor and I have to say it was the softest shave I've ever had. I couldn't even feel the blades on my skin and my legs felt silky smooth all day!